20 $ off for all members to the Workplace English workshop. Workplace English is a workshop to find and keep a job, in an English environment. 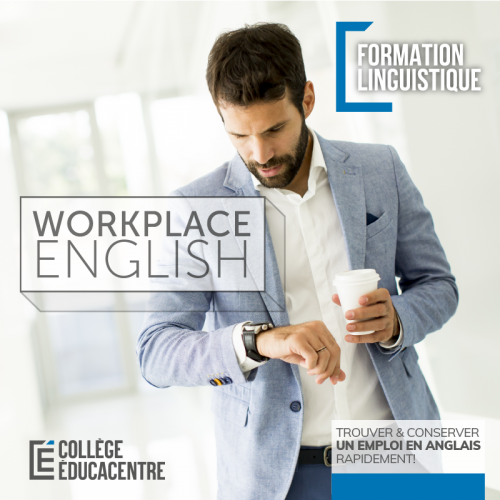 Workplace English, it's an intensive mix, based on the job search for French-speaking people (WHV or Permanent Resident, Citizen). It allows you to adapt to this new market quickly. Spencer Gee: as a graduate of the UBC Honours Degree program in Education, Spencer has acquired a decade of teaching experience, specializing in training adult ESL students to reach their language goals. His provincial certification also grants him the opportunity to design a curriculum which utilizes the latest theories and exercises in English development to maximize individual learning potential.